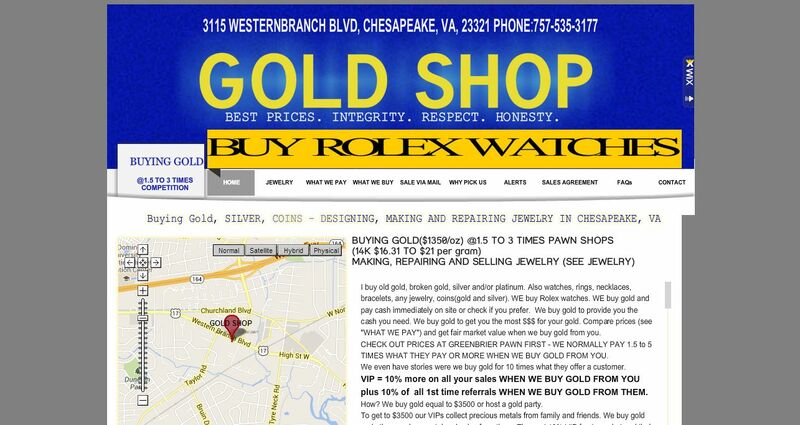 Gold Shop address, phone, website, hours of operation, and more. I buy old gold, broken gold, silver and/or platinum. Also watches, rings, necklaces, bracelets, any jewelry, coins(gold and silver). WE buy Rolex watches. WE buy gold and pay cash immediately on site or check if you prefer. We buy gold to provide you the cash you need. We buy gold to get you the most $$$ for your gold. Compare prices and get fair market value when we buy gold from you.